November, a quiet time, sometimes cold, but always changeable. This November was no different, although if we were to compare it to the same time last year, we were knee-deep in snow across the country, with sub-zero temperatures. 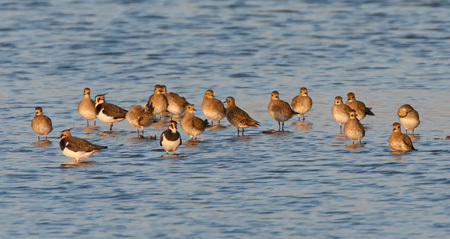 As reported in last month’s blog, Golden Plover numbers at Willington DWT were increasing. 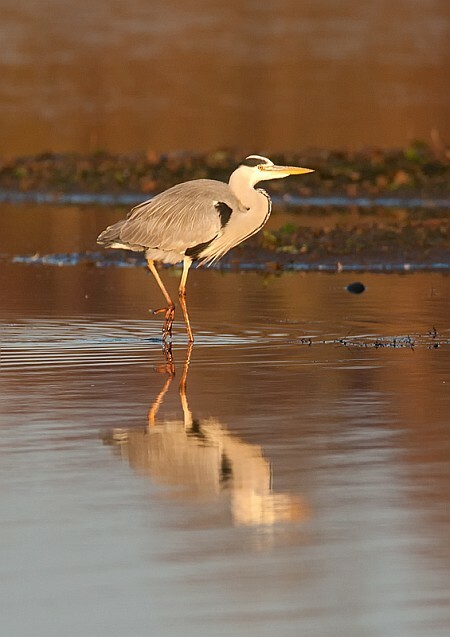 This was thanks, in part, to the lack of rain experienced over the early part of Autumn, which left the wader scrapes well above the waterline. 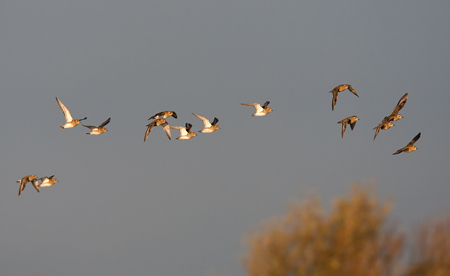 As usual they were with the Lapwing flocks. We generally had 30-40 at a time, but occasionally over 150. These birds are always a joy to see and to hear [their plaintive calls are quite eerie], and to have them in the relatively “low” lying lands of the River Trent Valley, is lovely. 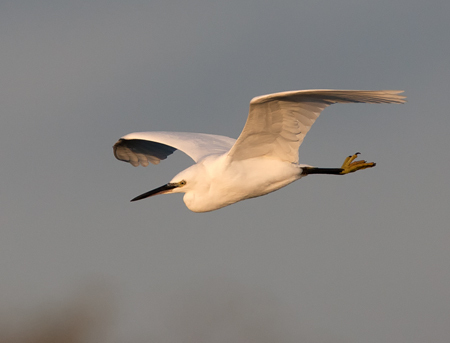 The usual suspects were present, including the Little Egrets, although their numbers were decreasing as it got colder. 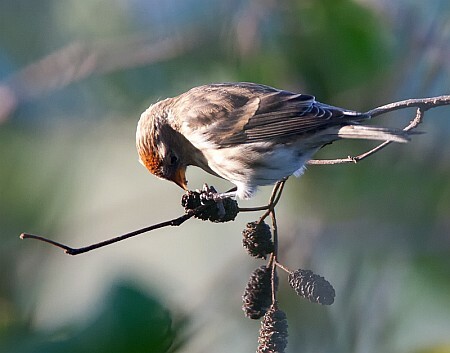 My first Lesser Redpoll of the season appeared on the 2nd November. Lovely birds, but sometimes difficult to photograph. This one was not too bad. This one was happily feeding in a flock of 6 or 7, on an Alder tree. The peculiar but brilliant red forehead glowing in the early morning sunshine. Unusually for November, there were some good sunny, but cold, mornings, so a chance to get some flight shots in. 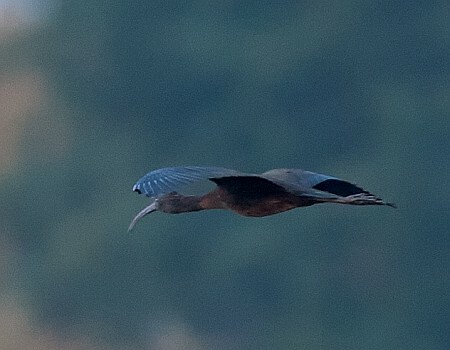 Because of the prevailing winds from the west, most birds did not pass close enough to the platform to get a close shot, although the odd one did. 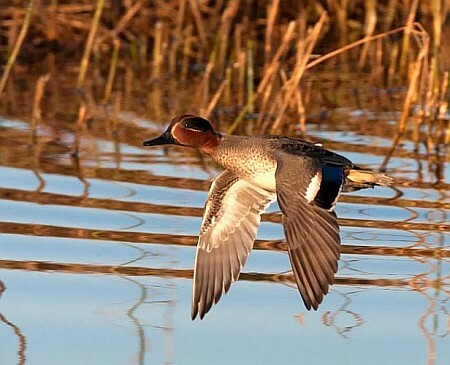 This drake Common Teal almost snuck by. 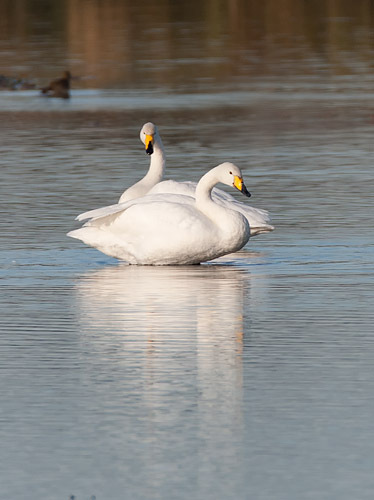 There were some surprise winter visitors, in 2 Whooper Swans, who arrived on 3rd November. Here they are on the 6th – probably young adults – no youngsters. 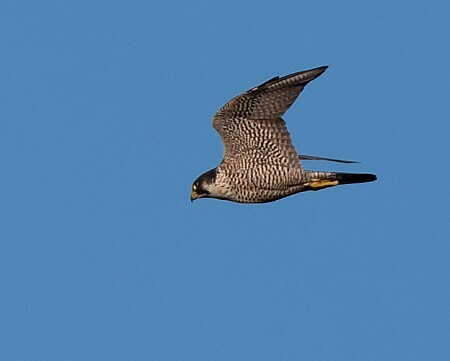 One bird that seems ever-present at the moment, is the Peregrine. There are Peregrines who breed close by, so this male may well be from that family. 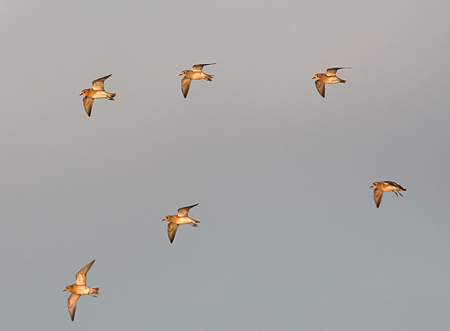 It is usually very early morning when he drifts silently through the site, putting up the Lapwings and the Golden Plover, usually they go very very high out of the way. I have not seen any attacks, to date. What a surprise on the 12th! 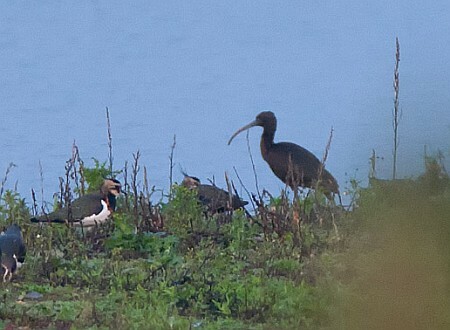 A very dark bird suddenly appeared around 8 o’clock, mobbed by Black-headed gulls, to the point of not being able to see what it was. I thought Cormorant – no, too small, Shag – no too big? 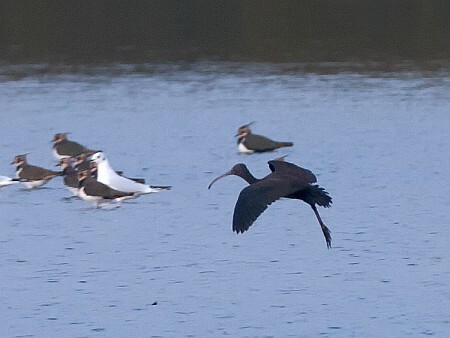 – and then the gulls left it and lo and behold a great big Glossy Ibis. 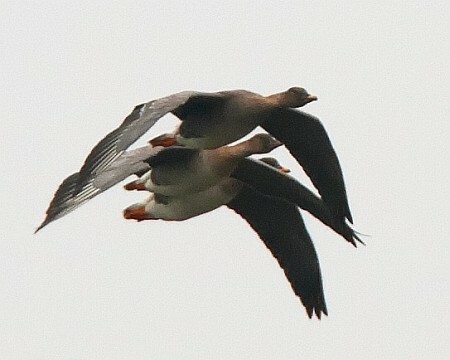 As usual with rarities, it was either crap weather, dark, far away, or a combination of all three! The technique is to identify it, get some shots, confirm the identity, get some shots, then ring around, then get some more shots! The bird was behind the post, not on it, despite what it looks like! The bird suddenly went up and was thought to have been lost, but re-appeared a short while later on the main spit, where it stayed for 10 mins, or so. 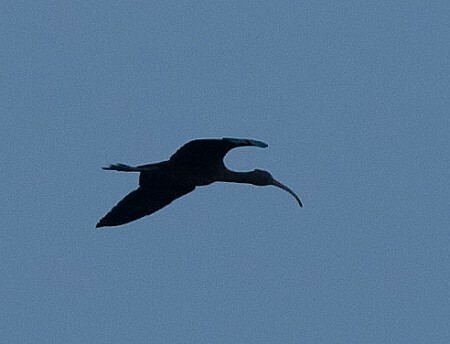 Unfortunately, despite putting the call out to birders, only one other person saw the bird, before it headed off NW. 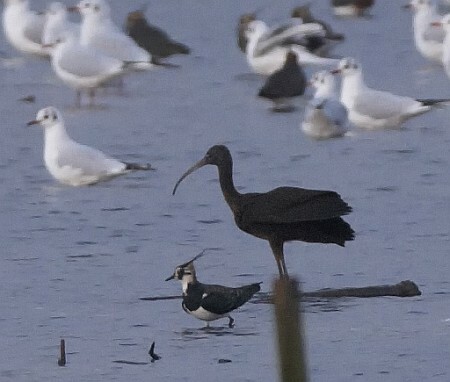 A Glossy Ibis [presumed to be the same bird] was found later that day in Cheshire [directly NW from Willington, give or take]. Things soon calmed down a bit, work took precedence over hobby, but there were still some surprises. 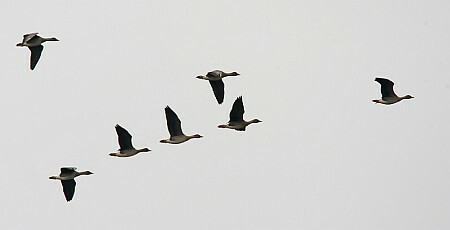 On the 19th Nov, we clocked 7 “Tundra” Bean Geese over Willington. These were the Anser fabialis rossicus species, from northern Scandinavia. 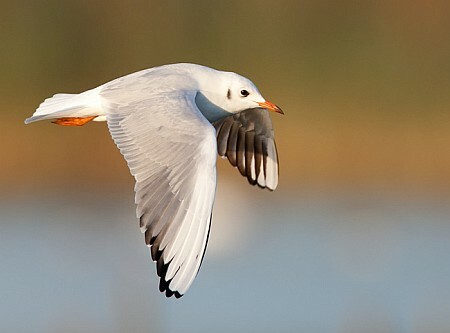 Similar-sized to a Pink-footed goose, but an orange tip to the small bill, pale underneath and orange legs and feet. 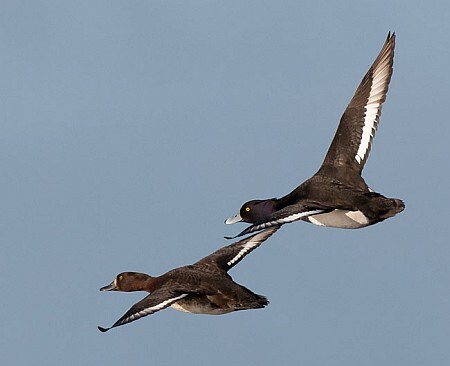 They are a bit scarce over Derbyshire, but must have overshot as a result of the spell of easterlies mid-month. I ran a photo session for a friend on 19th. It was a lovely sunny morning and we managed some decent early-sunshine shots. 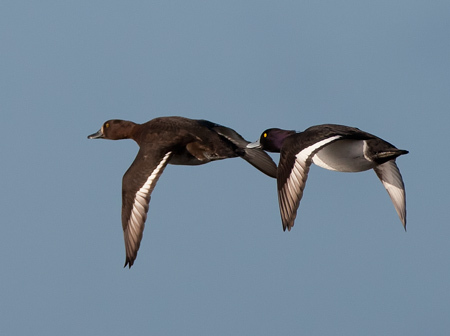 There were some further flight shots chances from some flighty Tufted Ducks. 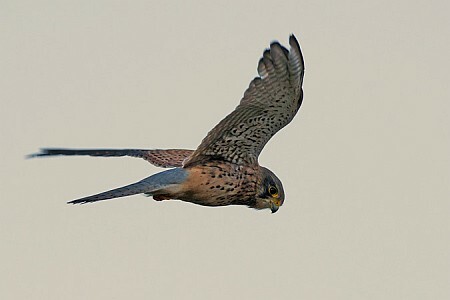 ….and then another challenge – a Kestrel hovering against the light. It’s always the case, as the Kestrels want to work into the wind and also have the light behind it, to be “hidden” from its prey. Sometimes you just have to go for it. This shot, taken at an exposure compensation of +2.3 eV, just managing to get the detail out from the bird. Not bad for 1600 ISO. Then before you know it, it’s December. I am hoping secretly that weather starts to turn a bit colder. There are lots of winter thrushes at the moment, but there’s also too much choice of berries, making them difficult to pin down. Also, there are lots of Short-eared owls about, but I’m not travelling 60 miles to get them and I’m certainly not engaging in the mass hysteria you get at such places as Cossington Meadows, Leics and Worlaby Carr, Lincs – that’s not for me. I’ll wait for them to come to South Derbshire again – hopefully – and not too long to wait. Cruising on the Danube Delta in Romania – what a place! GARY W on Cruising on the Danube Delta in Romania – what a place!